Did you know that Colorado is home to more than 400 bird species? 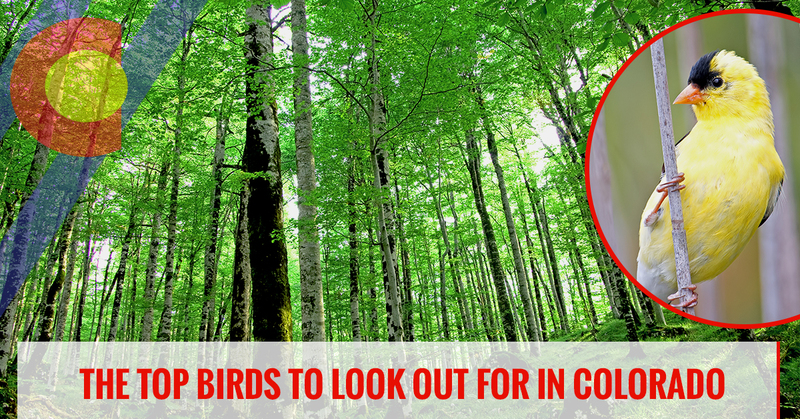 While this may be exciting news for the avid bird-watcher, there are a variety of bird-related issues that can occur if you’re not proactive. Birds can cause extensive damage to the the exterior of your home or business, and some birds even harbor diseases that can be transmitted to humans. Bird droppings have also proven to be problematic, as bird waste can ruin building finishes and create unsanitary conditions for your family or employees. At Colorado Pest Management, we’re passionate about providing Colorado residents and business owners with some of the best pest and wildlife control solutions available. Whether you’re trying to rid your home of bed bugs, voles, birds, or other types of pests, we can help. If you’re interested in learning more about our pest, wildlife, and bird control services, contact our friendly staff today! In this blog, we’re going to take a look at some of the most common birds in Colorado to look out for. Northern Flickers are large, brown woodpeckers with handsome black-scalloped plumage. They are most notably known for the bright yellow color that can be found on the undersides of their wings and tail feathers. These birds spend a lot of time on the ground, but you can also find them in trees perched upright on horizontal branches. Northern flickers are most commonly found in open habitats nears trees. These areas may include woodlands, yards, and public parks. The Downy Woodpecker is a very popular bird that can be found in most Colorado backyards. These birds look similar to the classic woodpecker, but they have a much smaller body. These birds have a straight bill and a blocky head. Most of these woodpeckers have a checkered black-and-white appearance, and males tend to have small red patches on the back of their heads. You can find these birds hanging out around tree limbs and trunks, but they can also be found scavenging for food in tall weeds. During the spring and summer months, these woodpeckers are known to be very vocal. If you’ve started to notice an abundance of woodpeckers on your property, it may be time to call an animal control specialist. 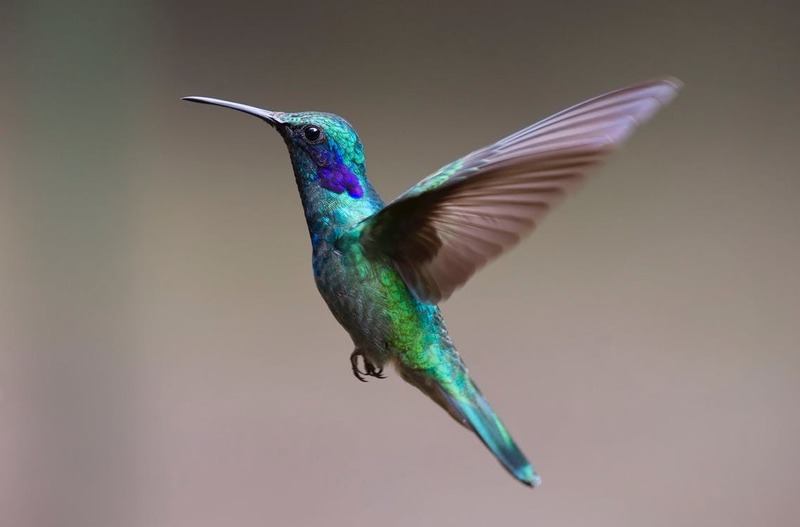 At Colorado Pest Management, we’re passionate about providing our clients with safe and effective bird control solutions. If you’re interested in learning more about our wildlife control, call our professional staff today! The White-Breasted Nuthatch can be found all along the Front Range. A common feeder bird with beautiful black, gray, and white markings, these birds live and active and agile life. With an appetite for small insects and seeds, these birds get their name from the fact that they like to jam large nuts and acorns into tree bark before whacking them with their sharp bill. You can normally find these birds hanging out near tree trunks and large branches. Like other nuthatch varieties, these birds like to turn sideways and upside down on vertical surfaces as they forage. As one of the feistiest hummingbirds in North America, the Rufous Hummingbird is another popular bird that can be found in Colorado. This fairly small hummingbird is relentless when it comes to flowers and feeders. The male hummingbird is coated in a brilliant orange and black color, while the females have a beautiful green hue. These birds like to breed in open areas like yards, forests, and parks. The Mourning Dove is a graceful, small-headed dove that is common across the Denver area. These birds feature a plump body, long tail, short legs, and a small bill. These birds can be found perched on telephone wires or foraging for seeds on the ground. Look out for Mourning Doves in fields or patches of bare ground. We hope that this article has been a helpful introduction to some of the most common birds in Colorado. If you’re looking for a wildlife control company to help you rid unwanted birds from your property, reach out to Colorado Pest Management today. Our technicians approach each case with care, and they will work with you to create an individualized plan for your bird issue. Contact us today to learn more!